I do know of 2 campgrounds that I just thought of, where you can ride in and out of camp, for anyone needing to ride right from their campsite. Located in Roscommon County, the heart of northern lower Michigan. From I-75 exit at mile marker 222 - Go north on North St. Helen Road (Old M-76) five miles to the stop light at Airport Road and turn right (east). The campground is located on the left, 1/4 mile east on Airport Road next to the airport and park building. Sites are available for camping at the Township Park with easy access to Lake Saint Helen, restaurants, party stores and gasoline. Currently 30 sites have electricity and water and 30 additional camp sites are rustic. A dump station is available. ORVs have direct access to the trail system from individual camp sites. Also available are showers and bathroom facilities, two ball fields, tennis court, basketball court, covered pavilion, playground and playscape. The other campground where you can ride in and out of camp is Bundy Hill, Located on US-12 approximately two miles north of Jerome in Somerset Township. The campground is inside the park. 350 Acres of all terrain for all off road vehicles. Well, like I already said about Ambrose Lake Campground, there was big sign at the entrance saying NO ORVS PAST THIS POINT. And as I also said, I looked at a bunch of websites that say you can ride in and out to the trails and back, but the sign there said otherwise. And it didn't say no ORVs except for registered campers either, it said no ORVs. NO ORVS PAST THIS POINT means you can't go in or out on an ATV, just like a NO ORVS PAST THIS POINT sign any other place the trail or route ends means you can't go past that point on an ATV. As far as campgrounds in Michigan you can ride inside the campground area of, you can ride your ATV through Mack Lake Campground no faster than 15 MPH just like the sign there says you can. Even if you aren't camped there you can park across from the lake and go swimming if you want to. Mio Trail leads right into Muskrat Lake Campground and you can ride inside it too. If you don't have a campsite, you can park right in front of the lake. I couldn't count the number of times I parked by the lake and rode inside the campground. You can ride inside The Meadows Campground too. I rode inside all 3 of those campgrounds several times, but only camped at one of them, and only one time. The Luzerne Express Campground not only allows people to ride inside it, they rent ATVs and RZRs so you ride those from the campground to The Meadows Trail. I didn't ride inside that one many times. Campers there are always going in and out to the store and gas station in front of it. All 4 have of those campgrounds I rode inside of had one thing in common, there aren't any signs saying NO ORVS PAST THIS POINT! I've only camped in a few campgrounds in my whole life and don't know which other ones in Michigan you can or can't ride into. I was riding up at Tin Cup this past weekend and visited the campground that is a couple miles from tin cup and connects to little O. It looks like a rustic campground, and a bad bathroom but it connects to the trails and has nice spots. Have you ever ben to that one? I have never ridden on the west side over that way, except for silver lake, which we've done many times since 86, and I'm hoping on doing a trip in 3 weeks there, really looking forward to it! I had plans on a trip this weekend to Mio area but had to cancel because of a wrist injury, so hopefully we can reschedule for next weekend. Sure wish we could do trips during the week instead, but my son can only do long weekends, unless I can find someone that has those days off. No, I haven't been that far west in the Lower Peninsula. In the U.P. I rode the Iron River-Marenisco Route and turned around at Watersmeet. I think it was November. It was pouring rain and I thought I would have hypothermia by the time I got back to Iron River. We went through 25 gal. of gas in 3 days of riding HARD, non stop! until we dropped! late in the day! When you only get away a few times a year, you half to take advantage of every minute when you finally get out! lol Its funny your sore as hell! the next morning, but surprisingly you loosen up quickly, after just jumping back on and heading out for awhile, then doing it all over again the next day! The hot showers there at St Helens campground, helped too! from camp, heading e. it gets real rough and tight where your barely squeezing in between trees, and with the really thick overgrowth of foliage/tree limbs! You'll definitely want long sleeves, save cutting your arms up! But back in there, is really the most magnificent part of any where up there! Definitely worth the pain lol Expect to get thrown off, away from the trail markers now and then, so make sure the gas tank is full before you head out, plus the only gas at clear lake is reg. so plan on heading into Rose city halfway back to camp to fill up if needed. WE BARELY MADE IT TO ROSE CITY, ''COASTING IN ON FUMES''! I told my son we might half to coast down into town, heading down hill from the top of rose city rd. lol You'll be fine as long as you don't fart around like we did trying to find wagon wheel, plus the flooded detour. If you think about it, it's good that we don't live so close to the northern part of the state, so we don't lose that great enthusiasm/thrill for the trip/ride! Planning on our next trip to Silver lk in 2 weeks. Got new sand paddles and also ordered yesterday, axle hubs for quick tire change, back to hole shots, by only having to remove one hub nut! I'm taking the bathing suit so we'll be ready for a quick dip while tackling mt. Baldy! Cuts down on some of the boredom, being in such a tight riding area, all day! Once a year is plenty enough for me! Then gladly heading back up north for the rest of the year, then Bundy Hill again and again for the winter months since its just an hours ride for us! Still looking for an older dude like myself that's just doing nothing much, but is just sitting around, thinking of those good ol days instead of riding for a few days or so, and not necessarily a hard ride, but mainly just getting out there!! What you waiting for? Lets GO!! The place where all the trails intersect would have been a good place for a GPS. All you need to do is follow the trail you left the first time through. My antique of a GPS lets me change how often it drops a breadcrumb. I think once every 42 seconds gives it over 8 hours before it erases the oldest breadcrumb every time it makes a new one, unless I set it not to. The memory isn't very big but if I shut it off when I take a break it lasts longer than the ride does. It sounds like you need to carry a can of gas. 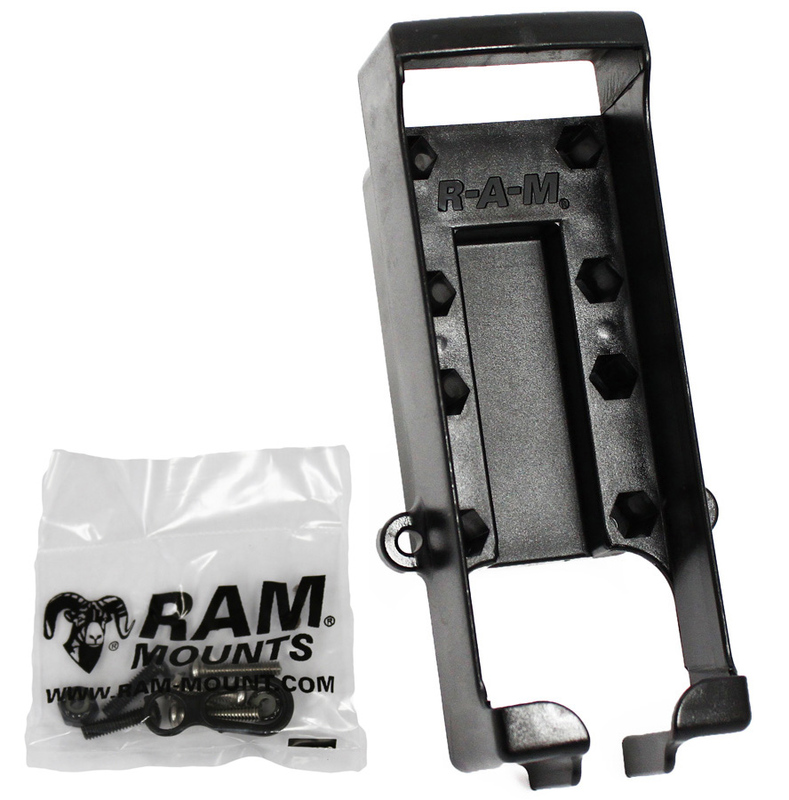 They make little racks that bolt on to your bumper to hold a 2.5 gallon or 2 gallon can. You got that right! And I even had a new Garman that I took up there for the first time, but didn't bother taking it that day because we had taken that trail many times before, and didn't figure we would need it....WRONG!! I went on google earth after we got back home, and has helped on figuring out the detour we had to take, and we'll use that way around again next trip, if its still impassable, but you better believe we'll take the GPS next trip, and keep it tracking our entire trip!! I also have 2 extra batteries to keep it charged longer. Another crazy place, where GPS would have really helped, is around Wagon wheel hill! It gets really nuts back in there, with trails crossing trails, mixed in the hills, and woods for miles! Also heard it referred to as the Rose City Oil Field Hills! You could spend a week there and still be confused after leaving this place! That's why we keep going back ever since 87, for the challenge, mystery and occasional hill climbs, peppered throughout the area! Our compass really helps too, especially when the sun is now straight up, hardly leaving shadows on the ground for heading/direction! The extra gas cans are a great Idea too, and have gone that rout many times and even made up heavy straps that could be removed quickly when not needed on the 2 stroke quadzillas. Held a gal. on each side, center of the vehicle, next to the motor, took a lot of the bounce out. I think we'll be alright next time, going from St Helen to mio, as long as we don't hang around sightseeing along the way lol Our TRX450r's can cover twice the distance than our 2 stroke ever did on a tank full! Does anyone know of a good reasonable place, in this neck of the woods, to store orv's. That would save hauling our quads, trailer, plus gas expense for ea trip? No idea about storage, except I saw a place on M-33 somewhere south of Mio. I can't remember if it was near the Pink Store or closer to Rose City or ??? You can stick your GPS in your pocket if you don't have or want a mount for it. 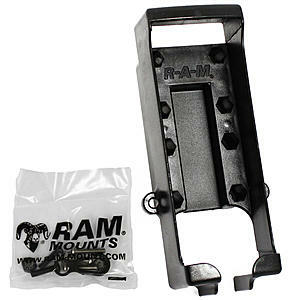 My first GPS mount was a RAM Mount way back when they were called Round-A-Mount. When I bought my second GPS mount I didn't even consider buying a different brand. I highly recommend them and so do other people. A U-bolt type of handlebar base with the mount of your choice would be a great option. They still make a cradle for my antique Garmin GPS 12, and it has R-A-M molded into it. GPS 12. Ha! It can get a signal from up to 12 satellites at a time. Ooooh!